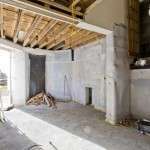 For a majority of homeowners in Cornwall the effects of damp on the ground floor and basement levels of the home can be considerable. 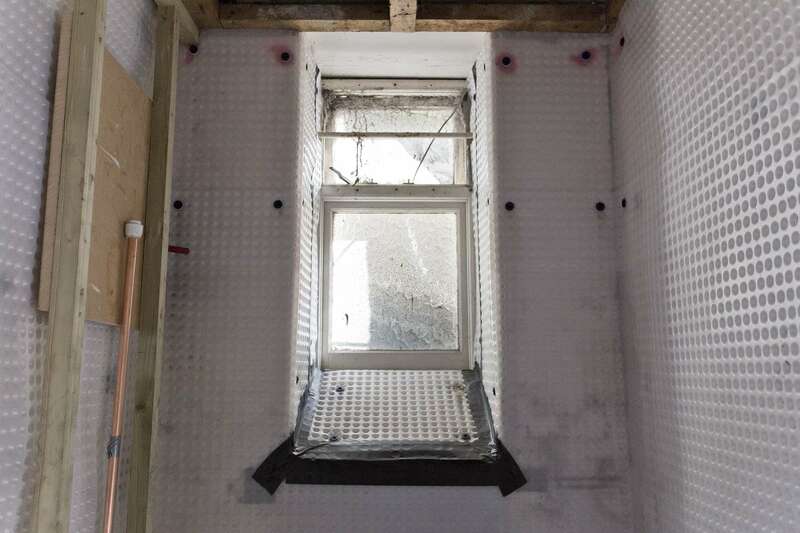 Many homes require some degree of tanking or damp proof membrane to protect the home from water related damage. 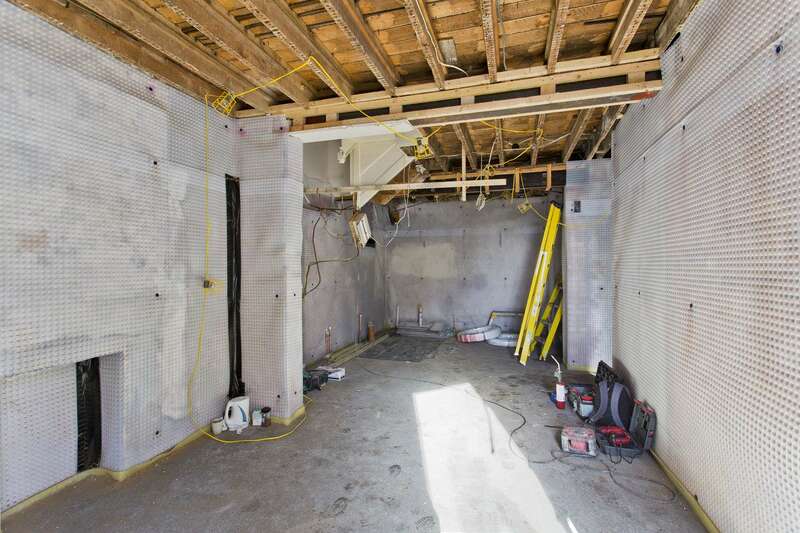 At Marnick builders we have used Newton tanking systems to great effect on a number of properties and there is a Newton system to suit any property, from render based damp proof systems to plastic tanking and sump pumps. 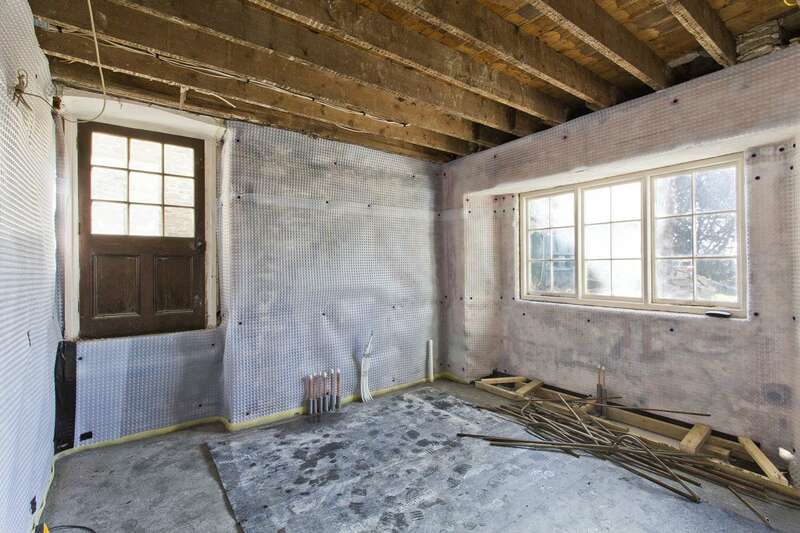 We have the experience to be able to advise you on the best possible solution for your home, taking into account all aspects of planning and surveying to ensure that encroaching damp is a thing of the past, allowing you to enjoy your home to its full potential. 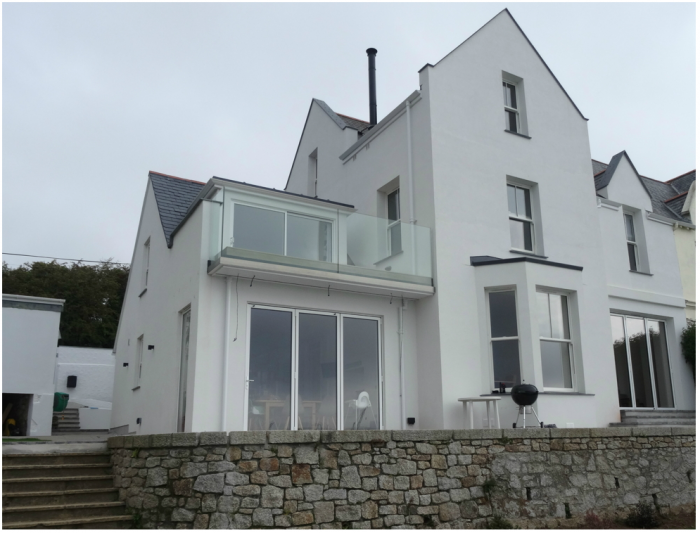 Click through the gallery below to see an example of a rigid plastic tanking system in Falmouth. 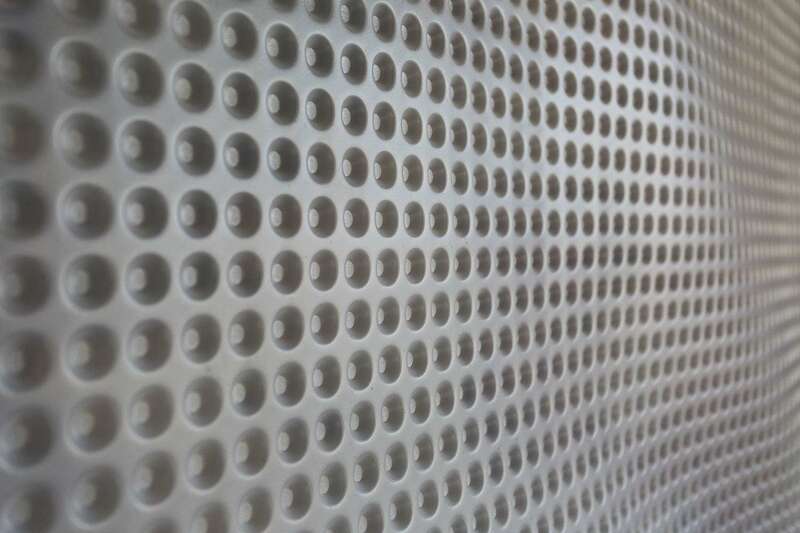 This system drains into a sump pump and is covered with stud walling over the top of the membrane leaving a stable base for whatever surface finish the room requires. 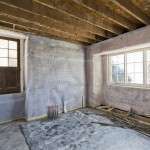 If you would like to discuss damp proofing or tanking for your property please Contact Us. 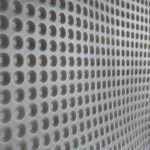 We Provide free estimates for all our work. 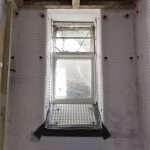 The three storey semi-detached Victorian house was constructed around 100 years ago with solid granite walls, and although structurally strong the thermal performance of granite is very poor by modern standards, the owners were looking to fully refurbish the property and address the energy efficiency issues. 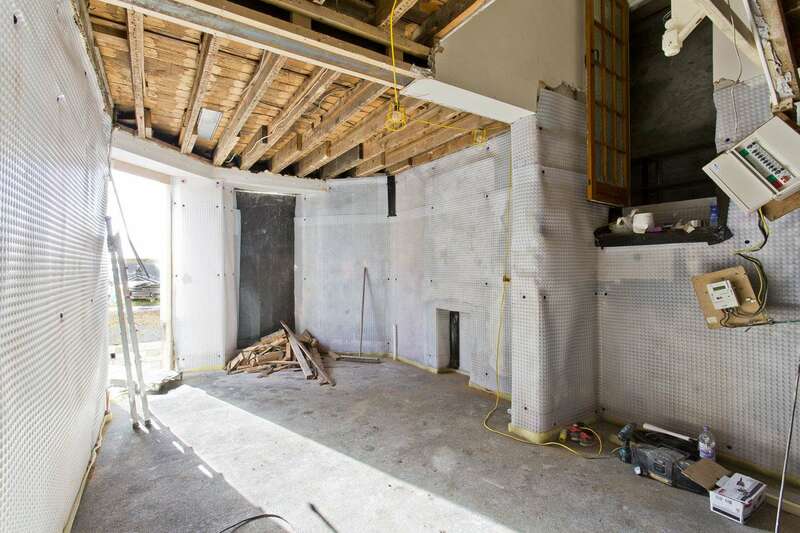 Marnick builders used there experience in property renovation to suggest a full plan of work, recommending Bostik’s Climatherm External Wall Insulation (EWI) system as the best material to improve the thermal efficiency of the home, yet retain the period features and appeal of the house. 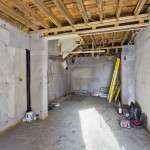 The property now achieves a U-value in accordance with building regulations for work of this kind while retaining its period look and feel, fully meeting the requirements of the homeowner.